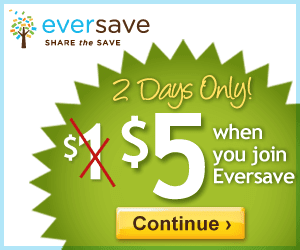 If you haven't signed up for Eversave yet, now is the time to do it! Eversave is giving a $5 credit to all new users who sign up in the next two days. You can use that $5 credit to make their daily deals even cheaper.